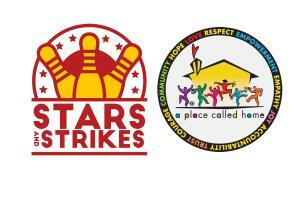 LOA ANGELES, CA, USA, March 4, 2019 /EINPresswire.com/ -- A PLACE CALLED HOME (APCH) announces its annual STARS & STRIKES Celebrity Bowling & Poker Tournament to support APCH’s outstanding free programs for inner-city youth, which will be held on Thursday, March 7 at PINZ Bowling and Entertainment Center. 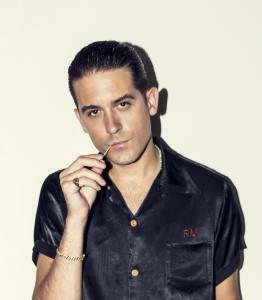 Multi-platinum recording artist and producer G-Eazy is the event’s official ambassador, and "On-Air with Ryan Seacrest" co-hosts Sisanie, Tanya Rad and Patty Rodriguez are the 2019 official media ambassadors. iHeartRadio/KIIS-FM is the official media sponsor. During the event, APCH members and attendees will have the opportunity to bowl and mingle with some of today’s biggest and upcoming names in entertainment, including G-Eazy, Sisanie, Tanya Rad, Patty Rodriguez, Jessica Marie Garcia and Jason Genao of the hit Netflix series “On My Block,” Sasha Sloan, Ava Cantrell, Camila Banus, Nathan Arenas, Jaheem Toombs, the Los Angeles Rams football team cheerleaders and Rampage (team mascot), among others. Each year, the Leadership Council (APCH’s board of emerging professionals) creates a fun, exciting and immersive experience to generate inter-generational awareness and support. Previous years’ celebrity ambassadors and supporters have included Ariana Grande, Miley Cyrus, Normani Kordei, Nick Cannon, Pete Wentz, Miguel, Jonah Hill, Hailee Steinfeld, Jason Derulo, Keke Palmer, Olivia Holt, Wiz Khalifa, Danielle Herrington and many more. Stars & Strikes begins at 7 p.m. and ends at 11 p.m., and includes dinner, drinks and prizes. PINZ Bowling and Entertainment Center is located at 12655 Ventura Blvd., Studio City, CA 91604. For tickets and sponsorships, please visit: www.starsandstrikes2019.com. A Place Called Home provides a safe, nurturing environment with proven programs in arts, education and wellness for the young people in South Central Los Angeles to help them improve their economic conditions and develop healthy, fulfilling and purposeful lives. For more information, visit apch.org. The mission of the Endless Summer Fund (ESF) is to help young people reach their full potential and to strengthen the Bay Area community. In July 2018, in conjunction with his Endless Summer Tour, G-Eazy launched ESF as a non-profit initiative to provide disaffected youth with opportunities for economic, educational, and cultural development. G-Eazy hosted ESF’s inaugural event at San Francisco's oldest homeless youth drop-in center, Larkin Street Youth Services. For more information, visit endlesssummerfund.org.